The Kempinski Hotel in Guiyang, Guizhou province is just a 15-minute drive from Guiyang's Longdongbao Airport and near the Jiaxiu Tower, a famous ancient pavilion. 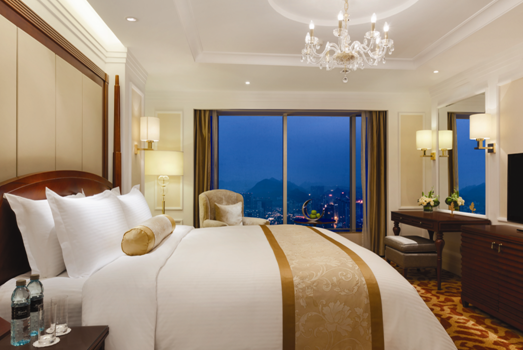 The en-suite rooms are spacious and offer a clear panoramic view of beautiful Guiyang. 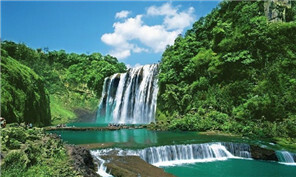 The hotel is the leading luxury 5-star hotel in Guiyang, with 366 luxurious guestrooms and suites and seven executive floors. It also has two grand ballrooms and nine fully-equipped banquet-conference rooms that can be adapted to all needs in advance. The hotel contains five restaurants and bars, with a distinctive style, that provide an extensive range of food and beverages to suit the appetites of the most experienced diners. 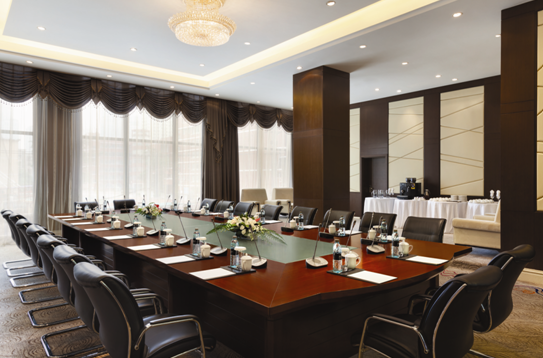 The hotel's team of professionals are more than happy to help you make the proper arrangements for any type of meeting. The 2nd-floor restaurant, Element, has a menu that incorporates both Chinese and Western food tastes, and well-trained staff that provide excellent service and versatile and outstanding cuisine. The Dragon Palace, on the 3rd floor, has nine private dining rooms of varying size to ensure a private, elegant dining environment. 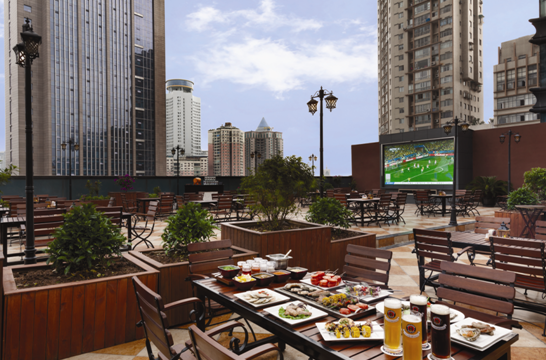 And don't forget to enjoy the hotel's outdoor deli cafe on the 1st floor where you can have a good time and enjoy the sun. Paulaner Brauhaus, on the 6th floor, is a place where guests can enjoy freshly brewed beer from a century-old German technique and modern equipment, and is the perfect place for guests to chill out. The Kempi Deli, which serves drinks, freshly made savory dishes and desserts on a daily basis, is the only European style cafe of its kind in the city. In addition, the central lobby has the lobby lounge, a perfect place to have a drink and to chat or gather with friends or colleagues. We encourage you to come and experience our European luxury flair.